What if a battery could be made with higher energy and power densities than those currently available, while exploiting a natural material that’s both abundant, recyclable and inexpensive? 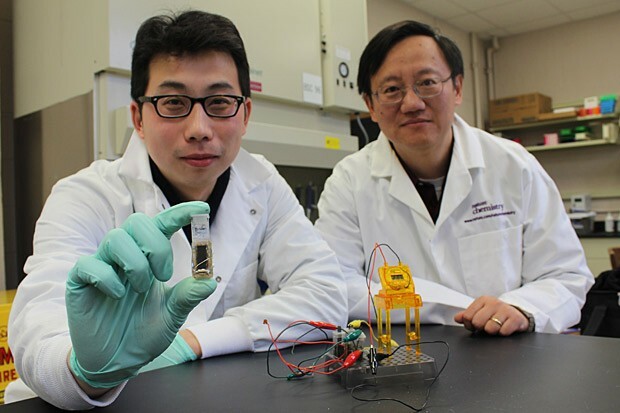 Last year, the blog reported on Y. H. Percival Zhang’s work with xylose, a sugar found in most plants, to make hydrogen that could be used in fuel cells. Dr. Zhang, with a Ph.D. in chemical engineering and biotechnology from Dartmouth University, draws on his unique pair of specialties to inspire his forays into developing novel ways of extracting energy from natural sources. His latest effort is a battery that runs on maltodextrin, a polysaccharide made from the partial hydrolysis of starch. That starch can be derived from almost any type of plant, a ubiquitous and non-food-based source. This makes for a tidy life cycle, extracting the raw materials from nature and being able at the end of the battery’s long and refillable run to return them to nature without fear of toxicity, the sugars involved biodegrading safely into the environment. Virginia Tech adds that, “In America alone, billions of toxic batteries are thrown away every year, posing a threat to both the environment and human health, according to the Environmental Protection Agency. Zhang’s development could help keep hundreds of thousands of tons of batteries from ending up in landfills.” Left unspoken is the threat of damage to soil and groundwater from those tons of leaking cells and battery packs. Zhang has been on a roll in the last few years, mixing enzymes “in combinations not found in nature,” but capable of extracting hydrogen in “an economical and environmentally friendly way that can be used to power vehicles,” for instance. 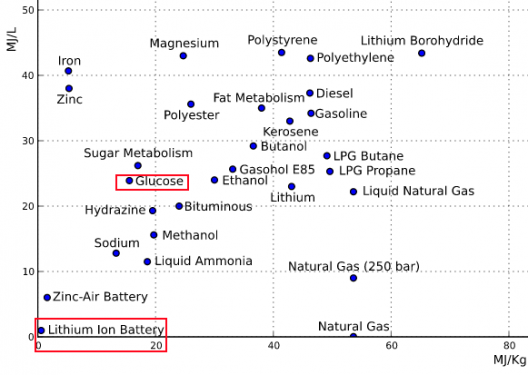 The sugar-fueled battery uses “a non-natural synthetic enzymatic pathway that strips all charge potentials from the sugar to generate electricity in an enzymatic fuel cell.” Low-cost enzymes used as biocatalysts replace the platinum used in conventional and more costly batteries. 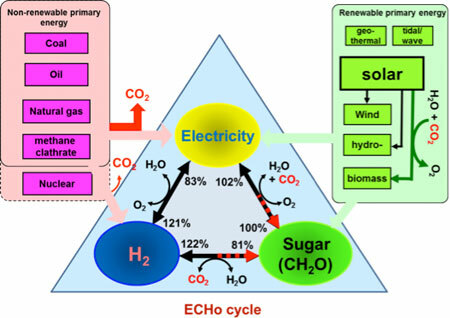 The hydrogen, mixed with air, generates generate electricity and water as the main byproducts. “We are releasing all electron charges stored in the sugar solution slowly step-by-step by using an enzyme cascade,” Zhang said. None of this is explosive or flammable, and is different from hydrogen fuel cells and direct methanol fuel cells, according to the university. Icing on the sugar cookie is the battery’s high energy storage density, “an order of magnitude higher than others, allowing it to run longer before needing to be refilled by a fresh dose of sugar with its electron charges intact to replace the old, depleted sugar. It’s comparable to refilling a printer cartridge with fresh ink. Commercial batteries for cell phones, tablets, video games and other electronic devices could be on the market in “as soon as three years.” How soon Elon Musk or others will be stocking up on sugar after that remains to be seen. Zhang and his colleagues’ work can be seen in the January 21 Nature Communications.